Whoa! This looks cool. 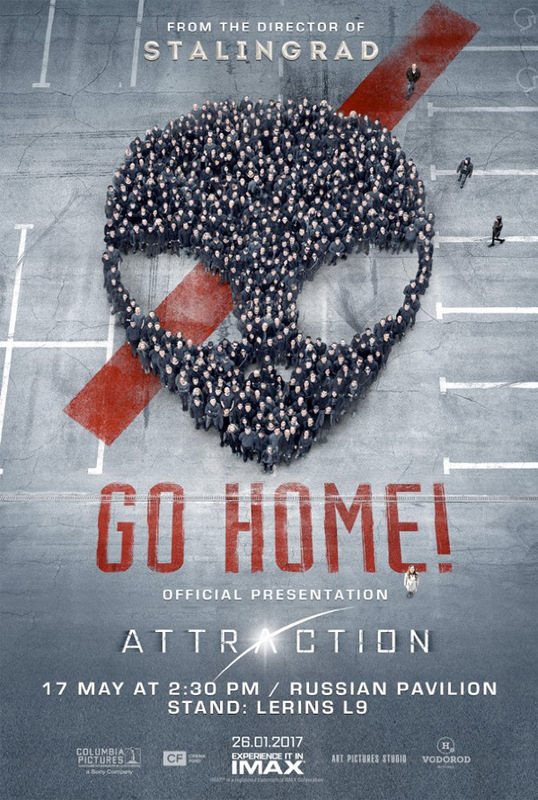 A new teaser trailer has debuted for a Russian alien invasion/arrival movie called Attraction. We've also added the original teaser along with the new trailer, since this is the first time we've encountered this film. There's some awesome footage in this, mainly the original arrival and crash in a city. The ship design is incredibly unique, and I love the way it looks as it crashes down. The film stars Oleg Menshikov, Alexander Petrov, Rinal Mukhametov and Irina Starshenbaum. It's made by the same guy who made Stalingrad and will be presented in IMAX 3D (at least in Russia) when it opens. The newest teaser actually reveals the aliens, which are huge creatures without a discernible face, making me even more intrigued. Along with Guardians, there are some impressive action movies coming out of Russia these days. 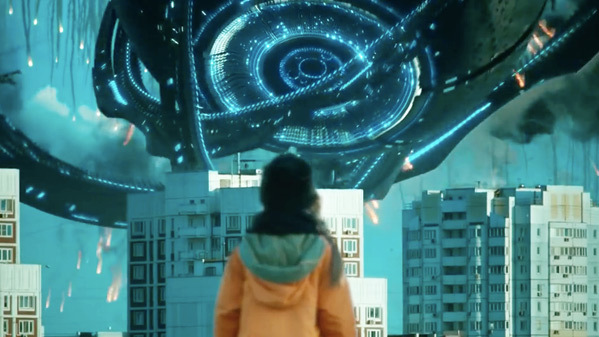 After an alien ship crash lands onto a Russian city, many who have saw the inside and the occupants start to question their own existence while there are those who demand the aliens to leave Earth. "With this film, we want to give audiences a chance to erase all borders of perception and to immerse completely into the story as only seen through the IMAX Experience" (via IMAX press release). Attraction, or Prityazhenie (Притяжение) in Russian, is directed by Russian actor-turned-filmmaker Fedor Bondarchuk, of the films The Inhabited Island 1 & 2 and the international hit Stalingrad previously. Attraction is scheduled for release in Russia in IMAX 3D starting January 26th, 2017 but doesn't have any official US release date or info yet. We expect it to arrive sometime late 2017. Stay tuned for updates. Who's looking forward to this? The Brothers Strauss would approve. The way the image shakes doesn't make sense. Serious competition to Michael Bay's dumbness. The poster seems like anti-immigrant propaganda. Better creature and ship design than a lot of Hollywood films. And I'm down with Russian Matt Damon haha. Indeed, but will it have better screenplay? Cheers for those titles man, I'll look them up. not harsh - but the comment seems completely subjective and irrelevant. I'll gladly see this in the U.S. with English subtitles... this looks really good.